Jason Aaron and Mike Del Mundo take the helm! This June, the Odinson regains his mantle. 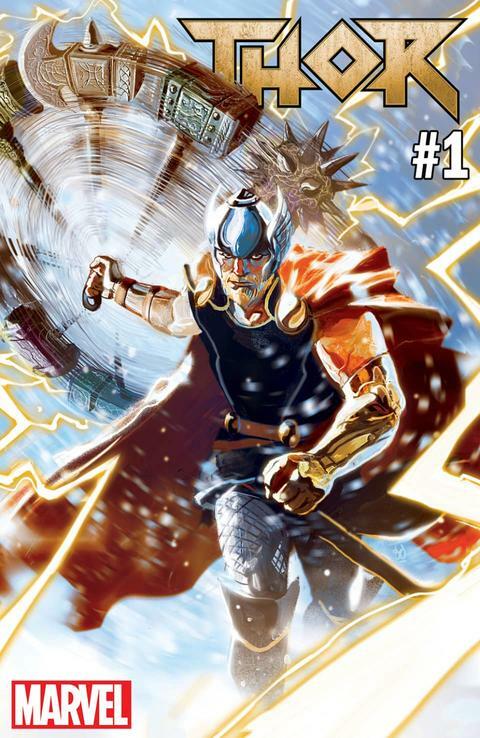 THOR #1, written by Jason Aaron with art by Mike Del Mundo, sees the start of a new mission for the God of Thunder. The artifacts of Asgard have been scattered across the Earth, and to reclaim them, Thor will have to face some ugly truths…Like the production cost of hundreds of new hammers! And he’ll need every last one of them if he’s going to stop the unstoppable when none other than the Juggernaut joins the fray. 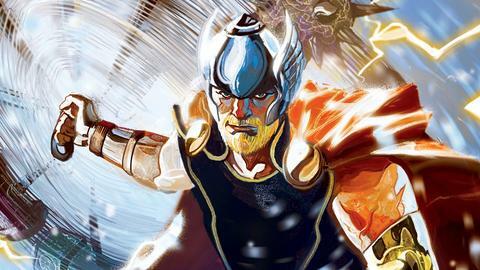 Prepare for THOR #1, by Jason Aaron and Mike Del Mundo, on June 13! And stay up-to-date with all the exciting news coming from Marvel Comics at marvel.com/marvel2018comics!